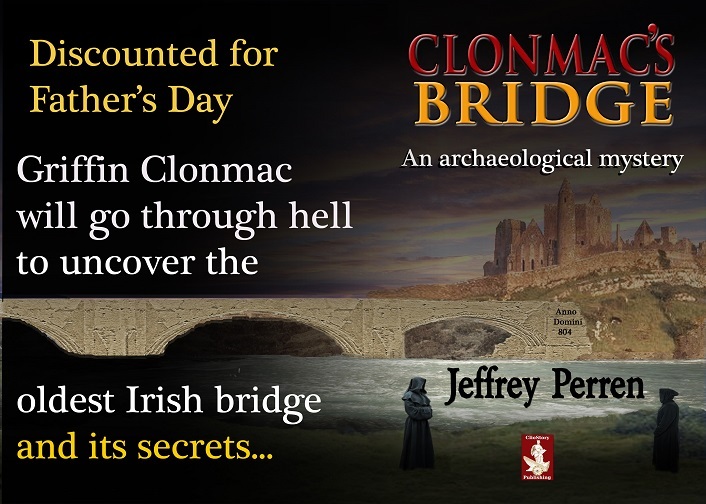 Celebrate Father's Day with a novel - Clonmac's Bridge - on sale for 99 cents in the U.S. and £0.99 in the UK. Sale starts June 17th, ends June 21. 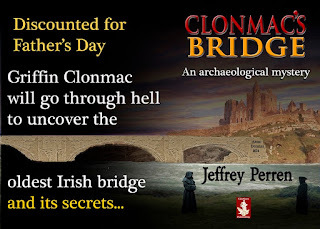 “Jeffrey Perren’s skills as a wordsmith are high caliber. “This book is an excellent and engrossing historical tale. Seamlessly told through the eyes of those in the 9th century and modern day, it was a real pleasure to read.